Non-alcoholic fatty liver disease is a buildup of fat deposits in and around the liver. As the name suggests, alcohol is not considered a contributing factor in NAFLD, and it is therefore attributed to causes other than alcohol. The condition is instead related to insulin resistance, which means that NAFLD is largely controlled through improved diet. When patients visit Dr. David Yamini and his team for a consultation, they are taken through a medical and family history, as well as a comprehensive examination to arrive at the correct diagnosis. Receiving the most beneficial advice and treatment options relies on ensuring you are diagnosed by a gastroenterologist who understands the complexities of the liver as it relates to the digestive system. If you are suffering from NAFLD you will likely experience swelling of the abdomen, which is known as ascites. Enlarged blood vessels will form beneath the surface of the skin. Men who are suffering from NAFLD may develop enlarged breasts as a result of the condition. Other external signs can include red palms and jaundice affecting the skin and eyes. Internal signs include fatty deposits in the liver and an enlarged spleen. Many of the symptoms associated with NAFLD are also present when patients are suffering from other digestive tract conditions. The severity of symptoms is not the most important factor, as mild symptoms are not necessarily indicative of a mild condition. For the sake of your long term health and well-being, consider consulting with a gastroenterologist if you are experiencing any of the symptoms of NAFLD, whether in combination or isolation. Dr. Yamini and his team are available to help. 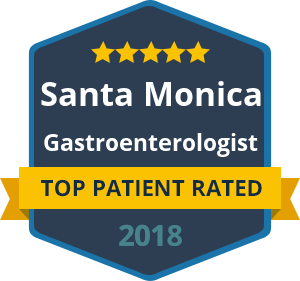 Contact us today to arrange a consultation with a caring team of gastroenterology specialists in California.